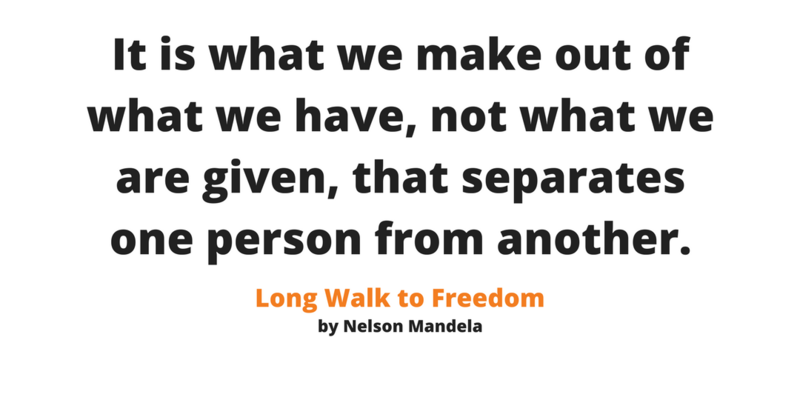 Nelson Mandela believed education could make anyone succeed. “It is through education that… a child of farmworkers can become the president of a great nation.” Want to know how to succeed? Seek out every opportunity to improve your self. Dedicate yourself to a lifetime of growth and personal learning. Your success is driven in part by everyday opportunities to learn. So, never shun the opportunity to learn something new. You never know when a new skill will open a door to a new possibility. Or maybe open a door to the opportunity to learn even more. Just look at how successful people spend their time reading and learning in subjects far beyond their field. Fortunately for us today, learning opportunities abound. Take an online class, listen to a podcast. Seek out the opportunity to learn something new today. You never know where your knowledge will take you tomorrow.